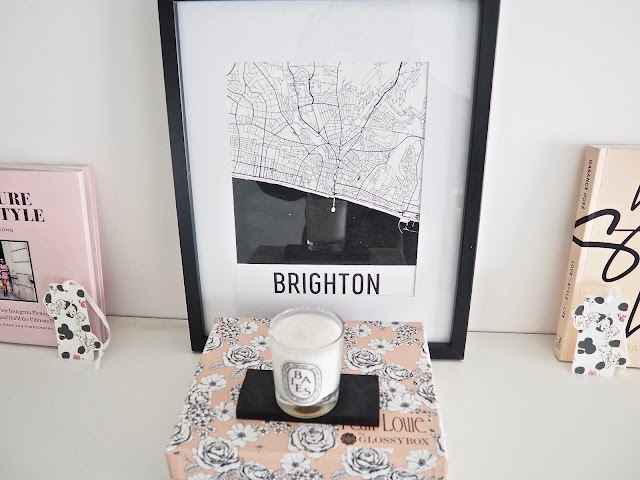 There are two things I love nothing more and they are prints and Brighton, so when modern map art got in contact with me and asked if I'd like one of their prints I jumped straight onto the website and tracked down a Brighton map. These map prints are created with elegance and modernism in mind so that they are able to fit into any home and give a touch of nostalgia to those who have connection to the city. Of course they have definitely hit that idea on the head as I did go straight for my home town due to the strong connection I have with it and how much I love it. I could spend absolutely hours looking at this map and tracing the delicate lines of all the roads, it's amazing how chaotic it can look to someone, but to me I can trace where the shopping centre and the parks and friends houses are just from looking at this lines and it really is amazing. I even love how the pier and the marina made the cut to all things well known to Brighton. This frame had been empty to ages and now stands proudly on my shelf and I couldn't be happier with it and how it tied the shelf together, I always thought there was something missing and now it's full and I can't help staring at it! 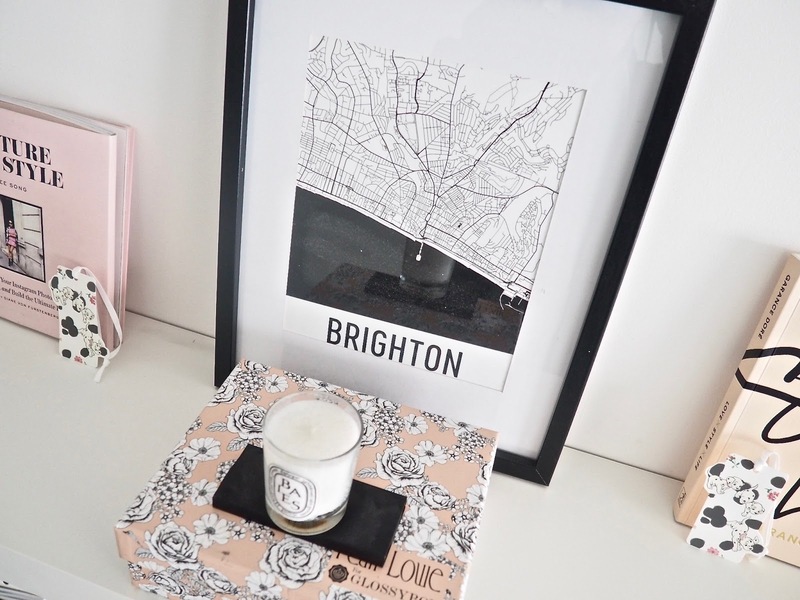 I personally like the black and white feel as it adds a bit of something something to my very girly pink shelf and it really does stand out. But, if you don't think this white and black look would tie into your room, you can get the prints in a range of colours for some prints but I'm sure if you wanted something a little different there about page does say to just get in contact with them to help make it feel as unique and personal to you! They have a huge collection of city maps to choose from and even world maps and ski maps to choose from so there is something for everyone! I think they would make such thoughtful gifts too. Whether you're purchasing for someones anniversary, birthday or just to say I love you places we visit can really hold special memories so why not get a print to really remember those moments and put in your house! The quality was so good of the paper that actually you don't even need a frame you could just pin it to the wall I was so impressed with it and would seriously think about purchasing more of these on larger scales also!